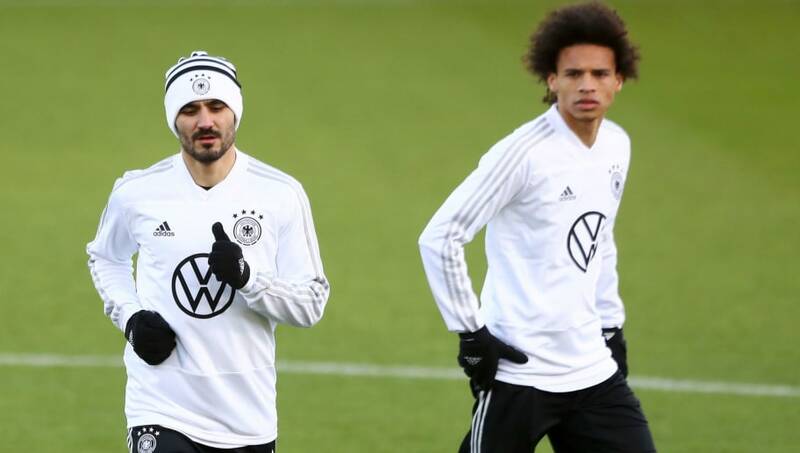 Manchester City duo Leroy Sane and Ilkay Gundogan were both the target of racial abuse during Germany's 1-1 draw against Serbia during a friendly at the Volkswagen Arena in Wolfsburg on Wednesday. The pair both started the friendly match, which saw Leon Goretzka's goal cancel out Serbia's opener from in-form forward Luka Jovic. Sane was withdrawn late on in the match following a horror challenge from Serbia's Milan Pavkov, which saw the Red Star Belgrade man receive a straight red card. According to reports in Germany picked up by the ​Manchester Evening News, the three individuals responsible for making the racial comments during the match have since turned themselves in to the German authorities. ​An official statement from the German FA reads: "The DFB condemns the racist incident in the international match against Serbia on Wednesday in Wolfsburg in the strongest terms. During the match at the Volkswagen Arena, national team players Leroy Sané and Ilkay Gündogan were constantly insulted by a small group of spectators,"
"Thanks to the support of a fan, the DFB was able to locate the ticket buyer for the seats where the spectators were sitting. The police have been turned on and are now investigating." The incident in Wolfsburg sees the subject of racism involving the German national team thrust back into the spotlight, following ​Mesut Ozil's retirement from Die Mannschaft in July 2018. The shock decision from the ​Arsenal midfielder to end his international career was clarified as he cited racism and disrespect from his own supporters over his Turkish dual-nationality as the main reason behind his decision.